With over 17 years of scaffolding safety experience, Elevator LLC has the expertise to keep your crew safe on the job with a full line of Personal Protective Equipment. Elevator LLC offers PPE from the nation’s leading manufacturers of safety equipment to construction sites throughout the Western United States. Elevator LLC has a wide selection of equipment to fulfill all of your fall protection needs. 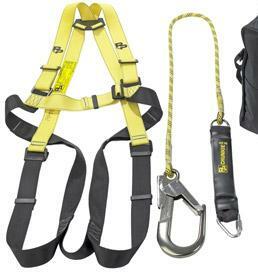 We offer all types of fall arrest systems, anchor points, harnesses, lanyards, retractable lanyards, lifeline systems, safety netting, confined space equipment, rescue systems and other fall protection equipment to keep your crew safe and your jobsite OSHA-compliant. Contact us to assist you in selecting the correct safety fall protection equipment to ensure OSHA and ANSI compliance.